My name is Thore and I am a Swedish Kinder Surprise collector. I'm not specialized in any particular genre in Kinder, I collect them all, focusing on the regular figures, more than papers or Maxi toys. Special thank's to my daughter who built, photographed and maintains this wonderful site for us, and anyone interested in Kinder collecting! I first got in contact with kinder figures when my two daughters found some handpainted figures at a market, sometime during the 90's. They thought they were cute and started collecting the handpainted figures. The oldest daughter soon lost interest in the little figures and my younger daughter took over the collecting. The collection grew and I started to help her with finding the figures. Soon we were collecting all sorts of Kinder figures and we realized that we had quite a big collection. It is now over 18 years ago that we started our collection and it contains several thousand individual kinder figures. Panoramic view of how we are displaying our collection at the moment, roughly counted about 7000 individual kinder surprise figures. Books we use to keep track of and updated on Kinder figures. I recommend all collectors to try to buy a catolouge, it is an amazing help when collecting. 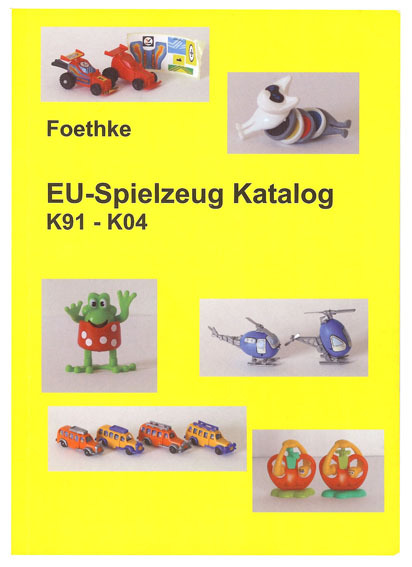 The book we use most is called "Katalog Spielzeug aus dem ei 2010/2011" and is given out by "Fantasia Verlag" in germany. 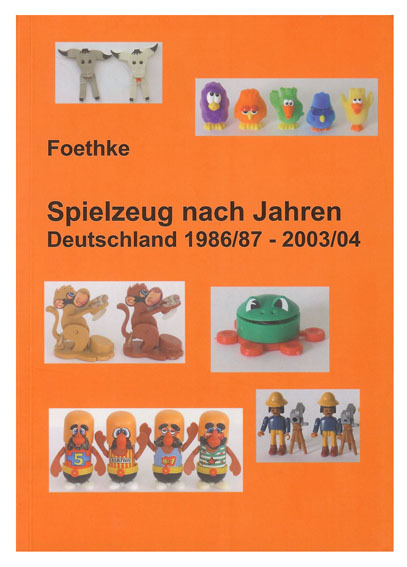 The book is in german, but that goes for all good literature on kinder surprise collecting. All types of kinder, covers basically everything. Sorted by category and year. Good reference to all European K-list figures 91-04. Sorted by nr and year. Good reference to all German figures 86-04.